Police Commissioner Gari Baki says 2016 will be a "year of Discipline." 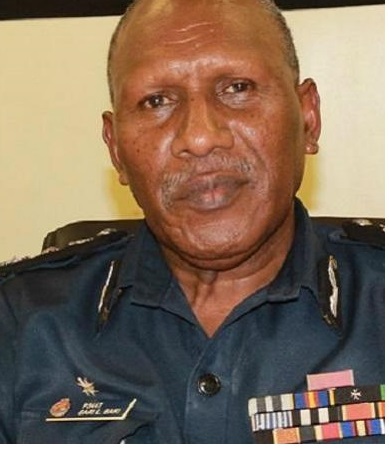 Police Commissioner Gari Baki has announced that 2016 will be a "year of Discipline." Baki says there will be zero tolerance of rogue and abusive police officers. Meanwhile, a police woman is in Boroko cell now. She was the one accused of taking the videa that went viral showing two policemen forcing a woman to swallow condoms. Commissioner says the two male police officers who are probationary constables will also be arrested soon. Amongst his announcements, Baki says he is intending to have 18 months training for new recruits. 6 months basic training, 6 months practical and another six months in college. He aims to introduce behavioral subjects such as psychology, theology, ethics and morality, philosophy and history so as to increase rational thinking capabilities. Recruitment of young officers will be outsourced so that professional recruitment organizations can ensure the we recruit the best to the Constabulary. When government books open for operation, Baki will call all senior officers to meet and make necessary suggestions to amend sections of the Police Force Act. This is to ensure police officers terminated for disciplinary offences do not return to the force again, and complaints laid at police stations regarding police brutality should be dealt with same time.